Instant cash app is a new binary options product promising to make traders $2000 daily for free. We’ve certainly heard claims like this in the past. Generally, promises of free money don’t work out. 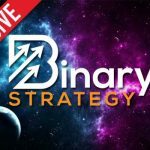 Today I’ll be providing a review and letting you know if this case is any different than the rest or if it’s just another automated binary options system that we need to avoid. The instant cash app website is plain. There’s a YouTube video, an email subscription form and four short blurbs. At the bottom of the page it says meet our team, there is Gabriel Riley who is a senior developer and Ashley Murray who is a managing content director. I have no idea what Ashley is actually doing because if you spend any time on this website you will see that there is no content whatsoever. Makes me wonder how this woman has a job. One of the blurbs claims that the software has a 93% accuracy rate due to their patented trading technology. Sadly, they do not tell elaborate on their technology, nor do they provide any proof that it works. The developers of of the instant cash app tell us that they have an award-winning software. According to their website they been featured on numerous mainstream financial news stations such as CNN, CNBC and Bloomberg. I decided to verify this information and found that this binary options application is not mentioned on any of these websites even once. I also noticed a pop-up in the bottom right-hand corner the webpage showing trader profits. I’ve been on this website long enough to see the exact same faces pop up over and over again with the exact same trading amounts and this makes me feel like this is a script not attached to real trading accounts. I will not be recommending the instant cash app daily software to any of the binary today readers. The website is lacking in content, proof and includes some deceitful marketing practices that I can’t get behind. Please let me know to think about the software by leaving a comment below. I hope to hear from you soon. Have a good weekend and keep doing everything you do to make sure that you win your trades.